Given my profession as a blogger, editor, as well as PR and Digital Marketing consultant, I definitely need an ultrabook that's not only very portable but is also capable delivering decent performance on the go. And it certainly won't hurt if it's also downright gorgeous. 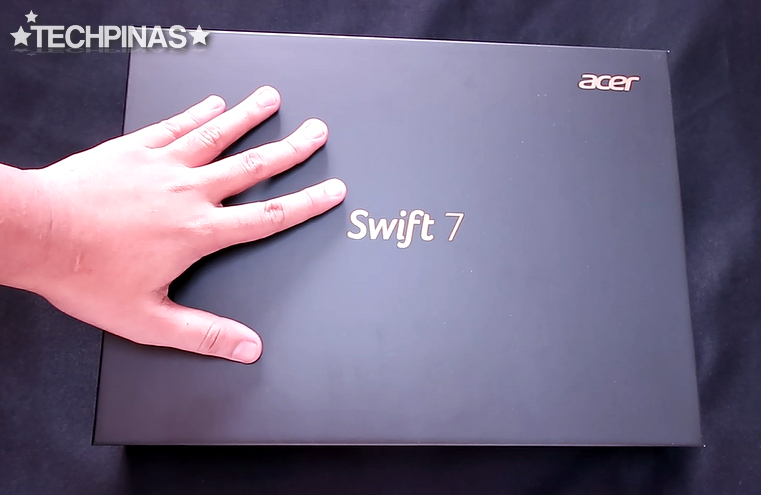 That's why I instantly fell in love with the new Acer Swift 7 when it was officially unveiled by the company in August 2016 at IFA in Germany. 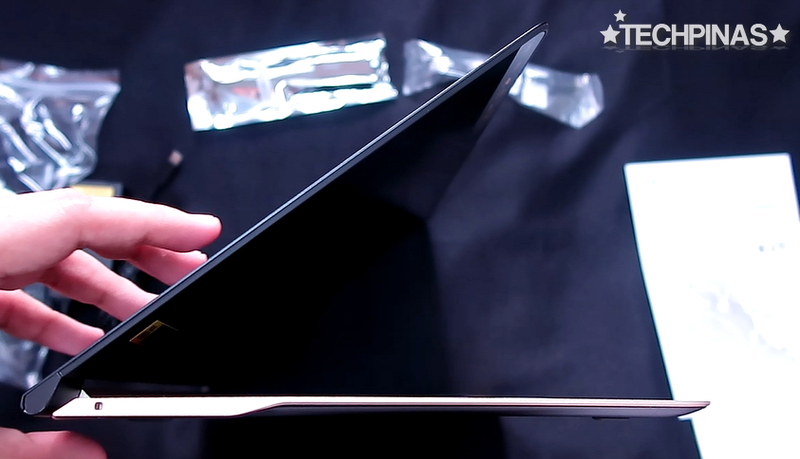 Flaunting a sleek anodized aluminum shell, the extremely thin Acer Swift 7 is one of the most beautiful laptops ever released. 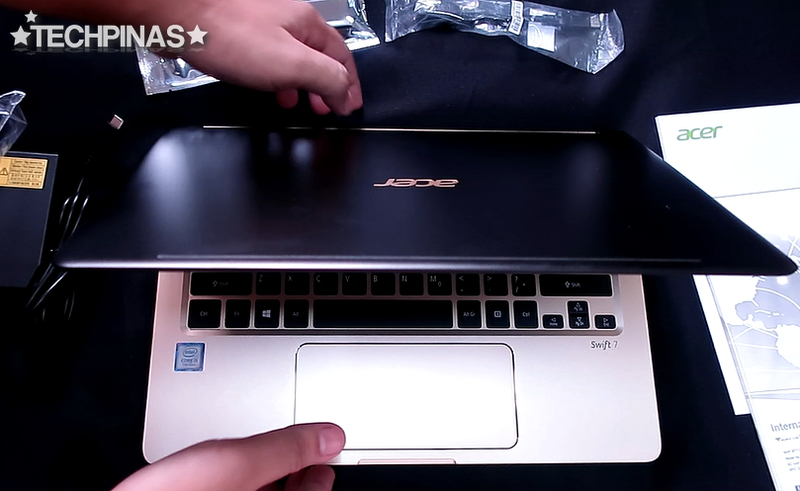 Measuring just 9.89 millimeters at its thickest point, Acer Swift 7 is the thinnest laptop in the world today -- officially eclipsing a long-standing record previously held by the ultra-slim Dell Adamo XPS. More importantly, however, this 2.5-pound beast also has sterling technical specifications that make it a great companion for consumers who want to be extra productive even while they're out and about. 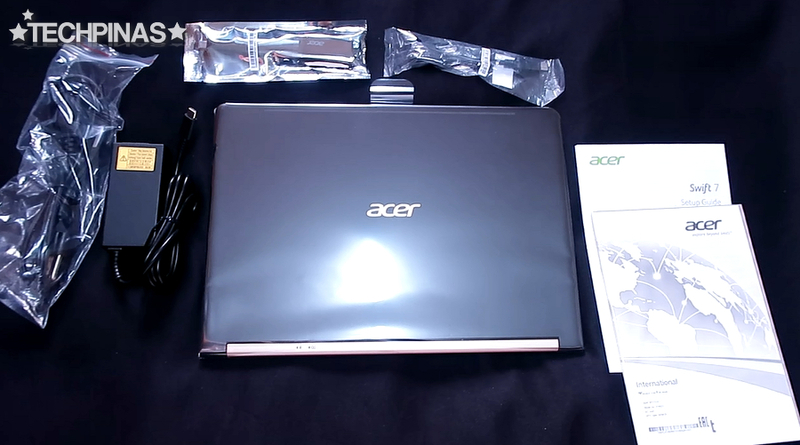 Filled with overwhelming desire to have Acer Swift 7 as a work and play companion (as well as to include it in my personal gadget collection), I acquired a unit back in December 2016 as soon as it was formally launched in the Philippines. 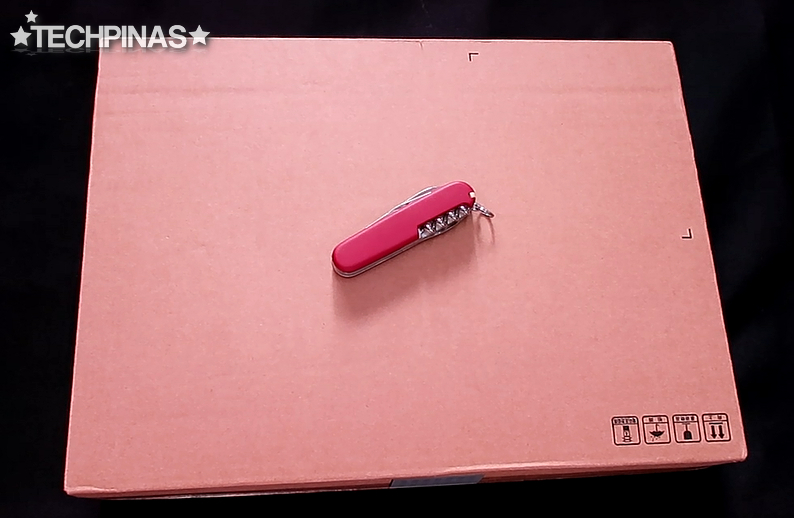 Before I give you my full review of the device, allow me to share these unboxing photos -- just to give you an idea of what you'll get should you decide to also purchase it. 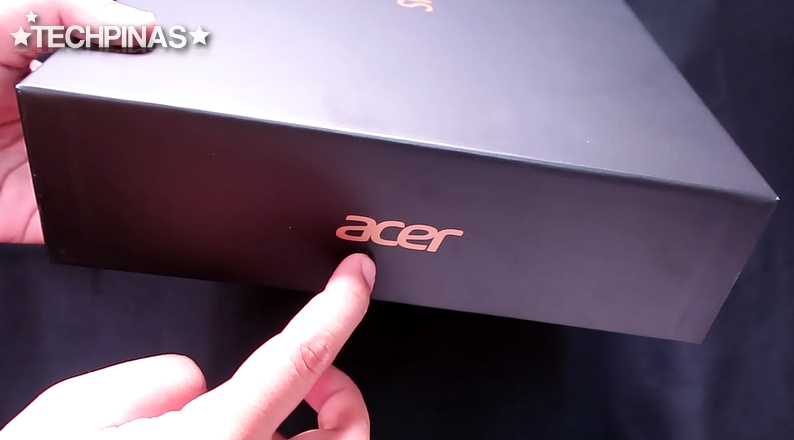 Just like most other notebooks, Acer Swift 7 has in this brown carton outer box for added protection during shipment. 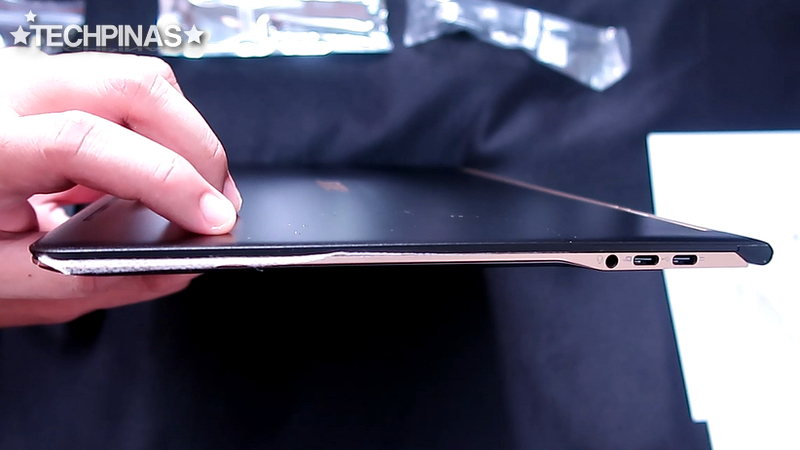 The ultrabook's black box with gold accents match the design of the unit inside. 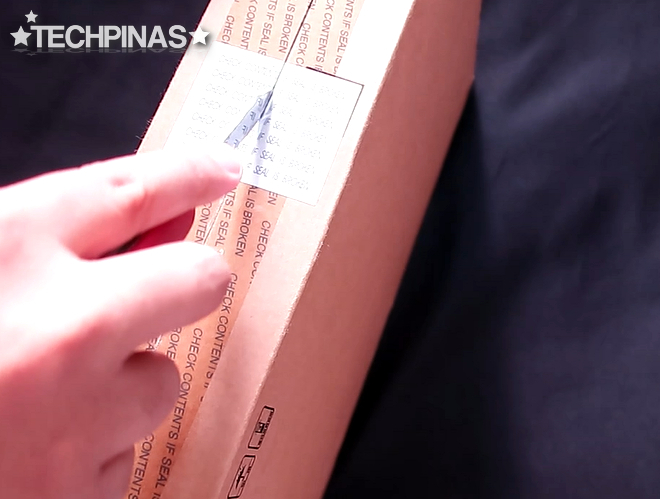 The entire packaging is made completely of paper and has a small footprint, which is good for the environment. 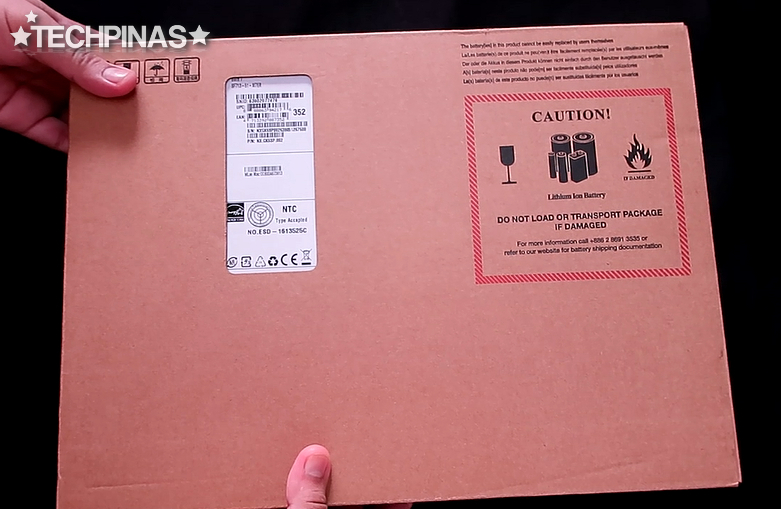 The laptop's technical specifications are printed on a sticker found at the bottom of the box. Acer Swift 7 is powered by the new seventh generation Kaby Lake Intel Core i5-7Y54 processor with clock speed of 1.2 GHz, which can be boosted to 3.2 GHz. This CPU is essentially an upgrade to the Intel Core M Broadwell and Core m Skylake chips but the company gave it its Core i5 nomenclature to reflect an overall considerable performance enhancement. Not only is Core i5-7Y54 more powerful but it is also more energy efficient than its predecessors. Lifting the cover, we are greeted by the svelte unit wrapped in transparent plastic. Ah, look at how slim that is! 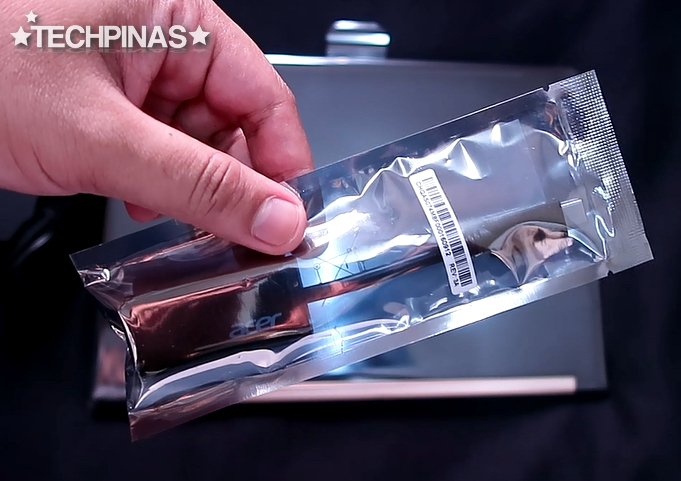 Now, let's take a look at all the items included in the package. 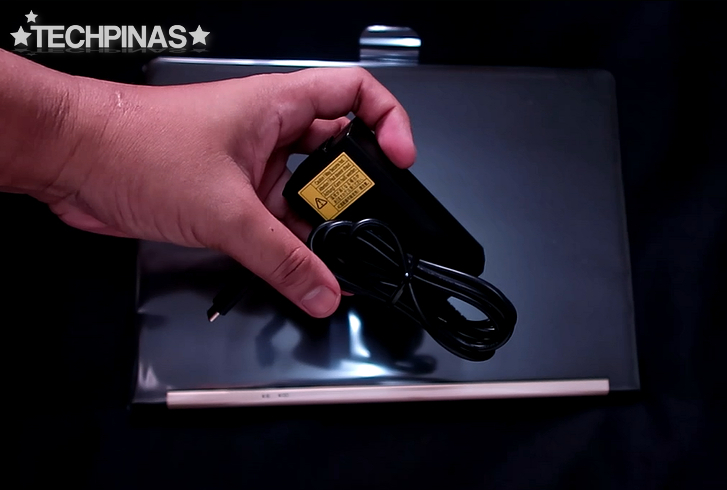 Of course, there's the travel charger, which connects to the notebook's USB Type C port. 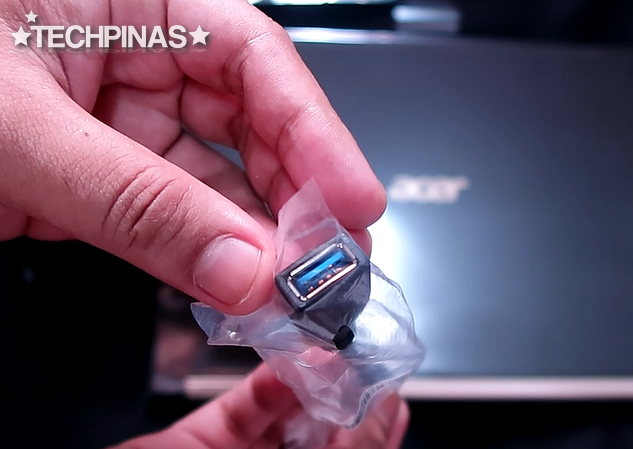 This supports a three-prong port so if you're using it here in the Philippines you'll have to get an adapter. 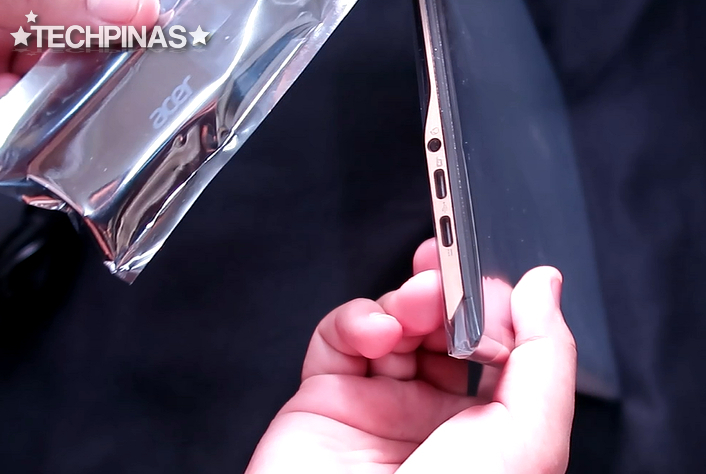 Being so thin, Acer Swift 7 only has three ports: A 3.5mm audio jack and two USB Type C ports. 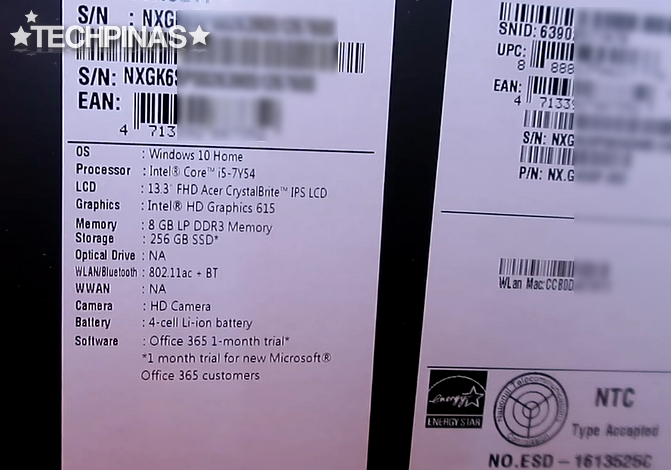 Of course, you also get an international warranty certificate and a product guide or user manual. Alright! 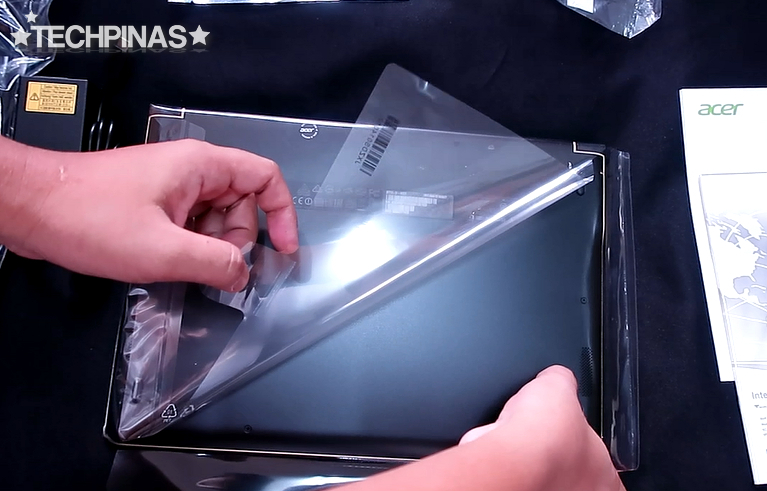 Let's take off the plastic cover. 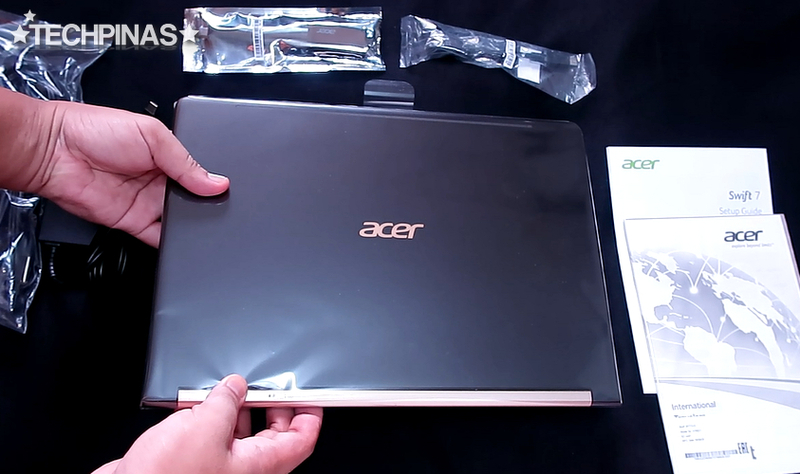 As I've said, Acer Swift 7's body is crafted from anodized aluminum. The top and bottom plates are painted Black while the mid-frame including the palm rest, trackpad, and the hinge are painted Gold. Slimmer than the latest Apple Macbook, Acer Swift 7 truly sets the bar high in terms of ultrabook aesthetics and construction. Alright! That's it for now. 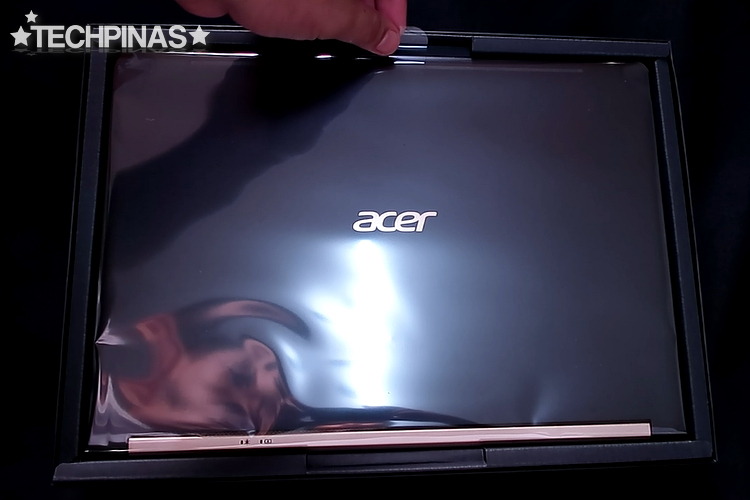 Stay tuned for my full review of this stunning headturner of a laptop.